Netflix’s latest original film is a horror-thriller of sorts that was written and directed by Dan Gilroy (“Nightcrawler,” “Roman J. Israel Esq.”) and stars Jake Gyllenhaal, Rene Russo, Zawe Ashton, Toni Collette, and John Malkovich. Its plot centers on an esteemed art critic named Morf Vandewalt (Gyllenhaal) studying the disturbing yet groundbreaking work of a deceased artist, whose paintings were released to the public against his wishes by Josephina (Ashton), a woman struggling to find her way in the art industry. Things take a turn for the worse when the people who have attempted to profit off of the artwork begin to die off in peculiar ways. Gilroy’s directorial debut “Nightcrawler,” also starring Jake Gyllenhaal, was extremely well received commercially. Additionally, it is one of the best films of 2014. His next project, the Denzel Washington-helmed “Roman J. Israel Esq.,” was met with mixed critical reception. Nevertheless, there was reason to look forward to this movie, especially because it would be readily available on Netflix. Looking back on it, that probably should have been a reason to be less excited about it. With a few notable exceptions — “Roma,” “The Ballad of Buster Scruggs,” “Mudbound” — Netflix has recently become Hollywood’s go-to place to send a film that would likely underperform in theaters. Unfortunately, the vast majority of them range from mediocre to poor, and “Velvet Buzzsaw” is no exception. This film is simply underwhelming. It plays out like a predictable slasher film; for the entire second half, as soon as a character is alone at night, the viewer knows exactly what is going to happen. In most slasher films, the characters’ deaths are somewhat creative or exceptionally gory, but in “Velvet Buzzsaw,” none of the deaths are in any way memorable whatsoever. If anything, the first half of the film is more enjoyable, featuring some drama between competing art galleries over which artists get to represent their work in their preferred museums. This film also falls victim to many of the cliché horror tropes, including gratuitous jump scares and characters making absurd decisions that end very poorly for them. While “Velvet Buzzsaw” is unoriginal and tropey, its greatest sin is that it is simply not enjoyable to watch. It is a complete shame that the film is such a flop, especially after how excellent “Nightcrawler” is. Although this film does make an attempt at parodying the modern art world and its sometimes pretentious worldview, it mostly just manages to comes off as pretentious itself. 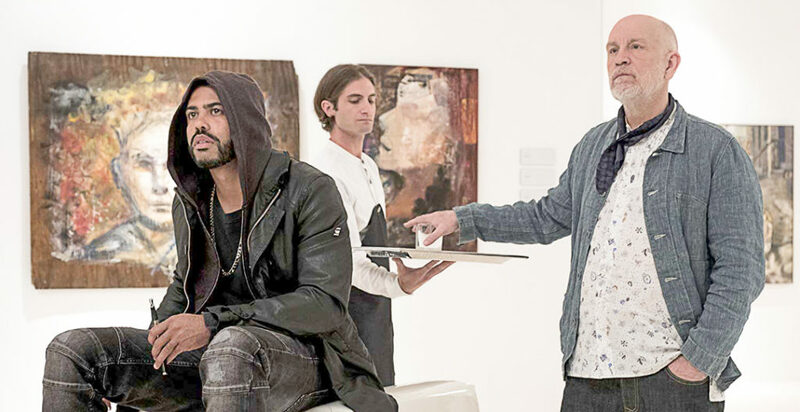 Overall, “Velvet Buzzsaw” is a film viewers should probably skip over, especially now that the rest of Netflix’s movie selection has improved significantly.